15 years in a Nutshell: You get 10 bullet points to summarize the last 15 years. Go. * Well, let's see. 15 years ago I was 11. So, I went to school. *Then I had a baby. *And then they said I can never ever have another baby ever. *And I'm in the middle of that mess right now. *And I don't even need 10 bullet points to tell that story. 10 years ago: I was 16 and working at Stride Rite as a certified fitting specialist. Ooo-oooh. 5 things in today's 'to do' list: not kill people. not dehydrate. not do laundry. or dishes. shower. Snacks I enjoy: Dr. Pepper. Watermelon. Pico de Gallo. Things I would do if I was a millionaire: pay off my debt. and my immediate family's debts. get a tummy tuck. go on vacation. Places I have lived: Apartments, condo's, shacks, houses. my hair. it's not blonde enough. and it might be too long. Or too short. I can't decide. finding a new home for my blog.... what is my pseudonym for the rest of forever going to be!! I love mascara and would die if something horrible happened and all the mascara in the world disappeared and my blonde eyelashes had to make an appearance !gasp! When I was like, 14, there was a weird freckle on my leg that I didn't like, so I cut it out. I kinda feel like blogging is like high school, and I'm still not one of the cool kids. 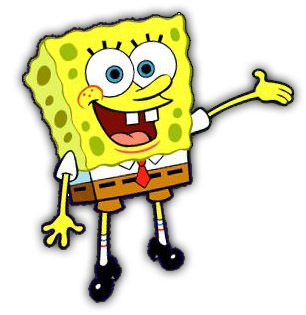 I really really like to watch Spongebob Squarepants. is this cheating? it totally is. 6 words? pshaw. EASY AS PIE. I Love My Family. Got it? just kidding. I think that's enough for now, don't you?